LEGISLATION mandating decreased emissions and lower levels of airborne pollutants is coming into effect all over the world. In response, refiners are implementing operational and processing changes to reduce sulphur levels in transportation fuels. To comply with mandatory sulphur specifications for gasoline and diesel between 2013 and 2016, the Kingdom of Saudi Arabia plans to spend billions of dollars to construct multiple clean-fuel projects, say experts. Saudi Arabia has adopted European standards for fuel quality, as Europe has been the frontrunner on regulations for low-sulphur, “clean” transportation fuels. Saudi Arabia is seeking to reduce sulphur content in diesel and gasoline to 10 parts per million (ppm) and to lower benzene content in gasoline to 1 per cent. With these new fuel specifications, Saudi Arabian refining operations will comply with international standards. This will represent a dramatic reduction in sulphur levels from June 2012, when Saudi Arabia’s maximum sulphur level for diesel was greater than 500 ppm. Upgrades and revamps are necessary to meet future market demand for higher-value, lower-sulphur transportation fuels. Along with its joint ventures (JVs), Saudi Arabian national oil company Saudi Aramco will upgrade all of the kingdom’s domestic refineries to produce lower-sulphur transportation fuels. Several projects – the Ras Tanura Refinery Clean Fuels and Aromatics project, the Riyadh Refinery Clean Transportation Fuel project, the Saudi Aramco Mobil Refinery Co. (Samref) Clean Fuels project and the PetroRabigh Clean Fuels project – are designed to accomplish the kingdom’s goal of producing near-zero-sulphur fuels by 2016. 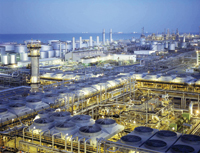 The Ras Tanura refinery is Saudi Aramco’s most complex refinery. Located on the Arabian Gulf, Ras Tanura has a crude distillation capacity of 550 thousand barrels per day (mbpd), a 305-mbpd natural gas liquids (NGLs) processing facility, a 960-mbpd crude oil stabilization facility and 75 crude oil storage tanks with a combined capacity of 5.8 million barrels (mmbbl). Most of Ras Tanura’s production is slated for domestic use. The $3 billion project is scheduled for completion in 2016. The project’s main goals are to produce cleaner fuels and to increase production of paraxylene, benzene and toluene. Annual production capacity could reach 1 million tons per year (mtpy) of aromatics. In May 2011, Jacobs Engineering’s Middle Eastern unit, Jacobs, Zumal and Turbag Consulting Engineers (Jacobs ZATE) was awarded the front-end engineering and design (Feed) contract under Saudi Aramco’s General Engineering and Project Management Services (GES+) contract. Jacobs acquired ZATE in 2008 to fulfill Saudi Aramco’s GES+ initiative. The GES+ initiative is designed to increase local content in Saudi Arabia for engineering services such as Feed, feasibility studies, procurement and project management services. Jacobs will be responsible for Feed services for both inside and outside battery limits. These services include modifications to the refinery to comply with future environmental regulations and to increase diversity of petrochemical products. Feed should be completed in early 2013, with calls to tender for multiple engineering, procurement and construction (EPC) contracts scheduled for the second quarter of 2013. Located in the central region of Saudi Arabia, the 124-mbpd Riyadh refinery is supplied with crude oil from the East-West pipeline. In April 2011, Foster Wheeler and A Al Saihati, A Fattani & O Al Othman Consulting Engineering Co (Sofcon) were awarded the Feed and project management consultancy (PMC) services contracts for this project. • Replacement of the crude and vacuum distillation tower internals. Submission of bids for the EPC contract ended in October 2012. Saudi Aramco expects to award the EPC contract in early 2013 to Daelim Industrial, JGC Corp, Saipem or Samsung Engineering. Samref is an equally owned JV between Saudi Aramco and ExxonMobil’s wholly owned subsidiary, Mobil Yanbu Refining Co Located on the coast of the Red Sea, Samref’s Yanbu refinery is the world’s largest single-train refinery. This site processes 400 mbpd of crude oil into fuels, of which half is consumed domestically. Samref’s Yanbu refinery will undergo significant modifications to produce cleaner fuels by reducing sulphur levels by more than 98 per cent in gasoline by 2013, and in diesel by 2016. The execution will be split into two phases. Phase 1 will begin during a 45-day maintenance shutdown in March 2013. A grassroots desulphurization train to treat 60 mbpd of fluid catalytic cracking (FCC) gasoline will be installed. A revamp of the 98-mbpd distillate hydrotreater and refinery utilities infrastructure will also begin. WorleyParsons is responsible for Feed and EPC of the facilities. Phase 2 is scheduled to start up by the end of 2015. The scope includes a new high-pressure distillate hydrotreater, a hydrogen manufacturing unit, a sulphur recovery unit, and offsites and utilities infrastructure. The $2.5 billion project is scheduled for completion in 2016. Rabigh Refining and Petrochemical Co, or PetroRabigh, is an equally owned JV between Saudi Aramco and Sumitomo Chemical Co of Japan. 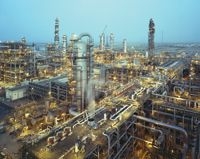 Located on Saudi Arabia’s west coast, the PetroRabigh complex is one of the largest integrated refining and petrochemical complexes in the world. With a capacity of 400 mbpd, it is also designed to produce a total of 2.4 million tonnes of petrochemical solids and liquids. To meet international environmental standards, the $1 nillion clean-fuels project is designed to reduce sulphur content in gasoline from 300 ppm to 10 ppm. At present, the Feed contract is in the bidding phase, with seven companies vying for the contract. The scope of the Feed contract includes designing the facilities, setting specifications for equipment required.